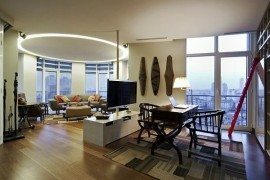 Skilled architects and designers can convey the passions and interests of their clients into dream homes and we see plenty of examples around the world. 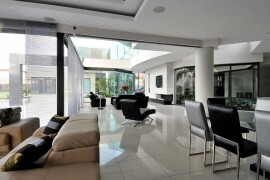 People want to surround themselves and showcase their love for cars or books inside their home and collaborating with creative minds results in stunning architectural solutions. Living within a collection of spaces that constantly remind you of what you love to do most helps embed your hobby into your everyday routine and create an enticing lifestyle. Why go all the way to the skate park when you have your own skateboard playroom at home? And how about climbing a riveted steel structure inside your stunning NY penthouse apartment only to rush down four stories through a polished steel slide? 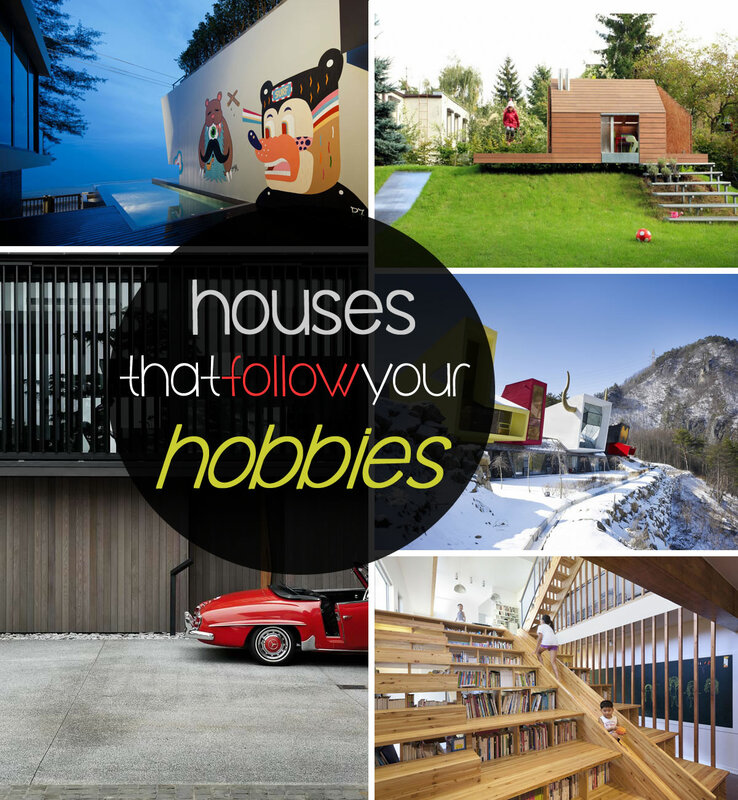 Let’s take a look at 7 amazing hobby houses throughout the world – each one is worth the creative challenges the designers faced. 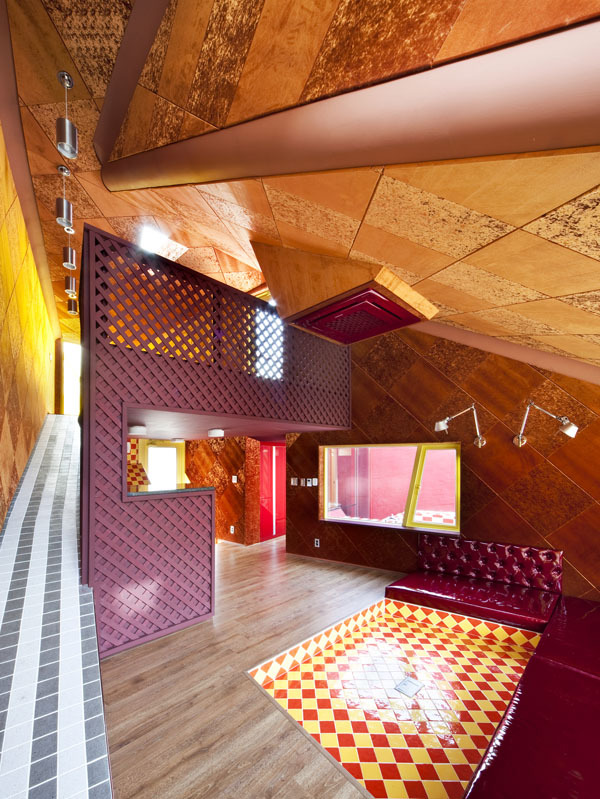 Built for the base guitarist of the amateur rock group Rock It Suda – which also gives the name of this creative structure – the fabulous pension imagined by Moon Hoon is located in Jeongseon, Gangwon Do, South Korea. Performing there live on a regular basis, the rock group gets to enjoy and share their hobby with anyone interested in experiencing music, colors and shapes in an architecturally intriguing setting. 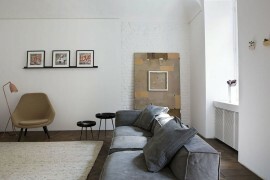 Huge hammocks shape the tails of each of the three different volumes, creating powerful aesthetic identities. Caught in between a dry river and the nearby mountains, Rock it Suda is a pension, a place where weekends are always fun and days never pass without observing something new and exciting. 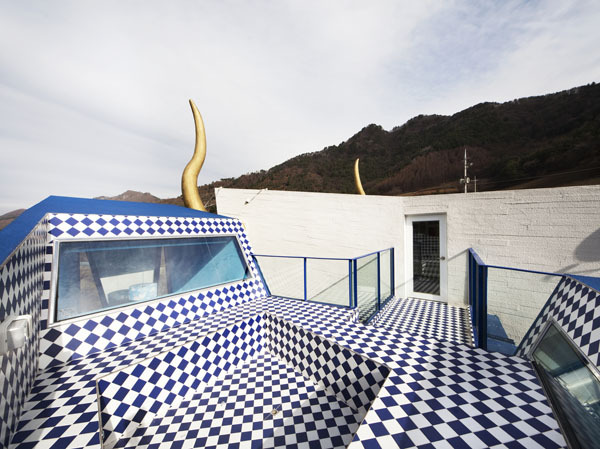 Recreation and hospitality merge in a new concept, re-imagining themes like Barbie, Stealth, Ferrari, Cave, Spain or traditional Korean elements. 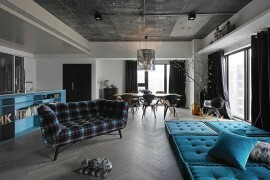 Fantasy meets super-sizing in a theatrical collection of spaces that exude dynamism and artistic sense. Designed and produced by the Japanese company MediCom Toy Incorporated, the owner’s Be@rbrick toy collection set the stage for an inspiring interior design in this stunning residence. 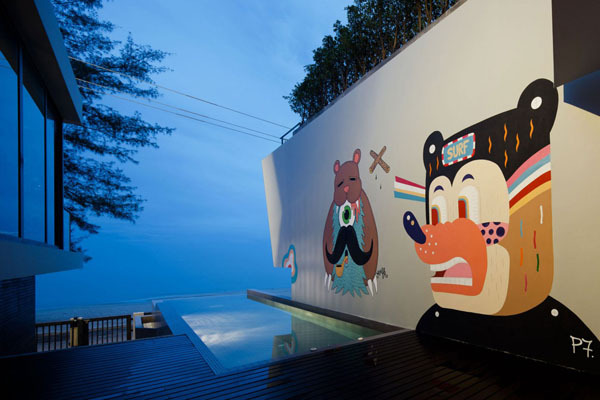 Renovating a three-story building measuring 8 meters wide and 28 meters long and located in Cha-Am beach, Thailand, was a challenge for Onion, but they reinterpreted the owner’s passion for the collectible toys and created a modern playground for grown-ups. Be@rbricks in various sizes and styles were displayed in the dining space, behind a glass wall that showcases a small scale version of the house. 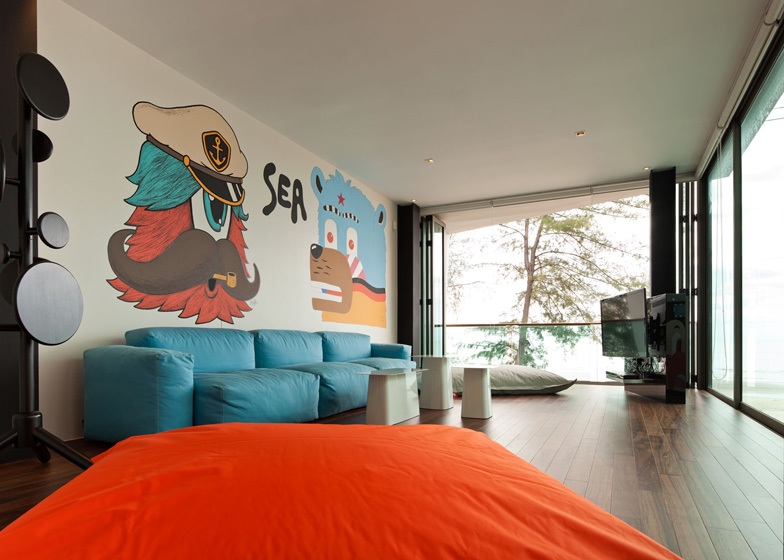 Oversized lamps, pillows and ladders create a larger-than-life setting, while young Thai graffiti artists MMFK and P7 adorned the walls of the living room and swimming pool with huge one-eyed monsters and colorful bears. 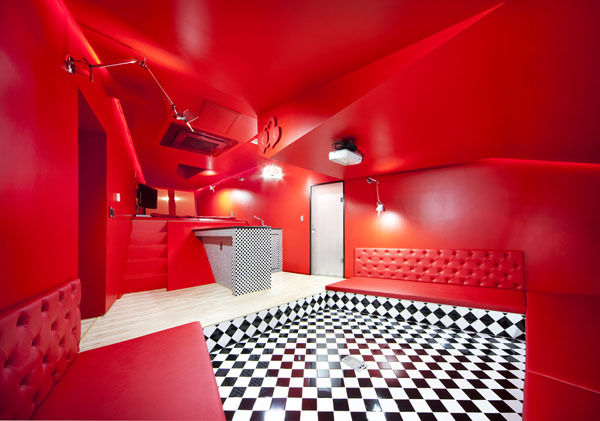 If skating is your passion, this home is a dream come true. 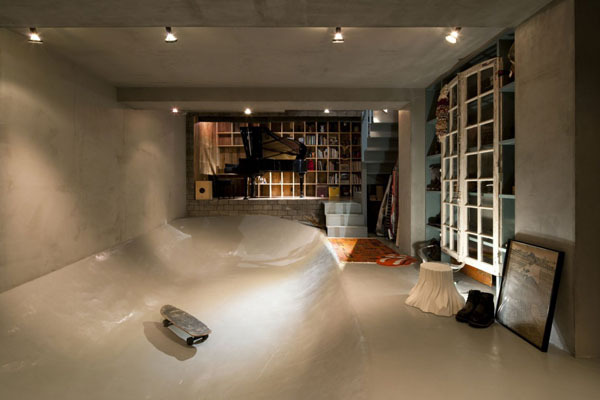 Designed by LEVEL Architects in Tokyo, Japan, the Skate Park House is a hobby house for both its owners. 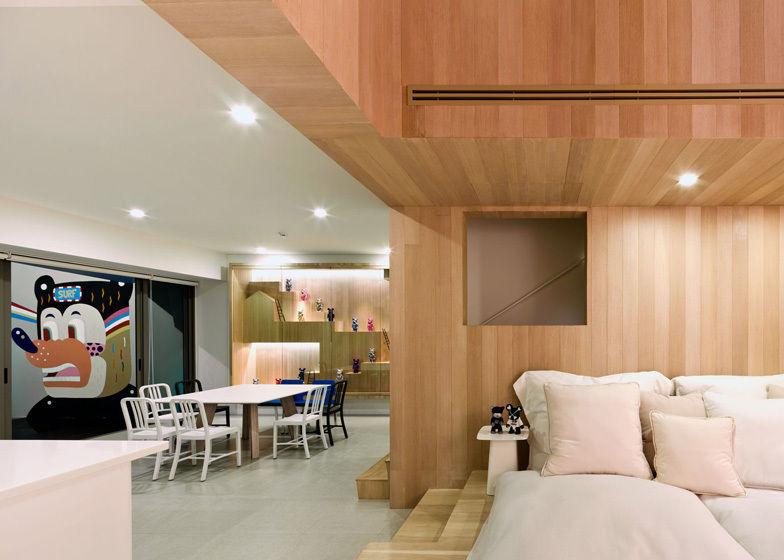 Combining the wishes of the young married couple inhabiting this home, architects created both a skateboard park and a piano rehearsal and concert room to reflect the owners’ individual interests. The indoor skate park features a skateboard bowl with multiple angles imbedded into the floor, where the inhabitant and his passionate friends can enjoy their favorite activity regardless of weather and in complete privacy. Raised 2 feet above the ground, the piano’s place acts as a sound-proofed concert stage easy to open towards the skate bowl and embed it into the new scene as guest seating. 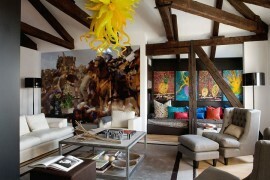 This is how separate passions collide within a shared residential space. This special home in the clouds is a four level penthouse apartment in one of New York’s steel skyscrapers built back in 1896. 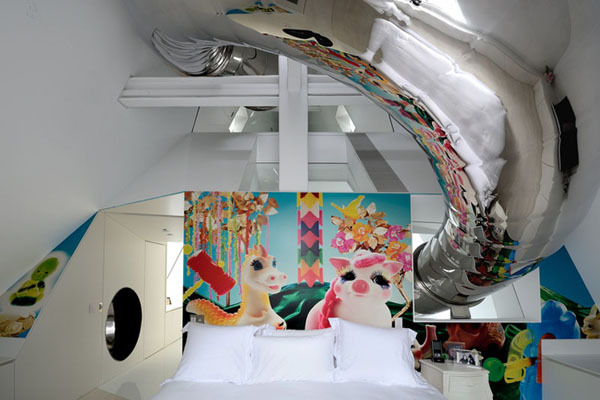 Combining the hobby of climbing walls with the fun pass-time of rushing down a slide, NY-based studio David Hotson Architect and interior design studio Ghislaine Viñas imagined a stunning modern home with myriad of intriguing details. How is that for mobility through different levels? 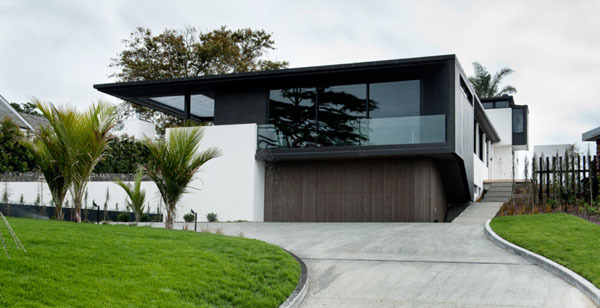 This home was intended not only for its inhabitants, but also for their car collection. 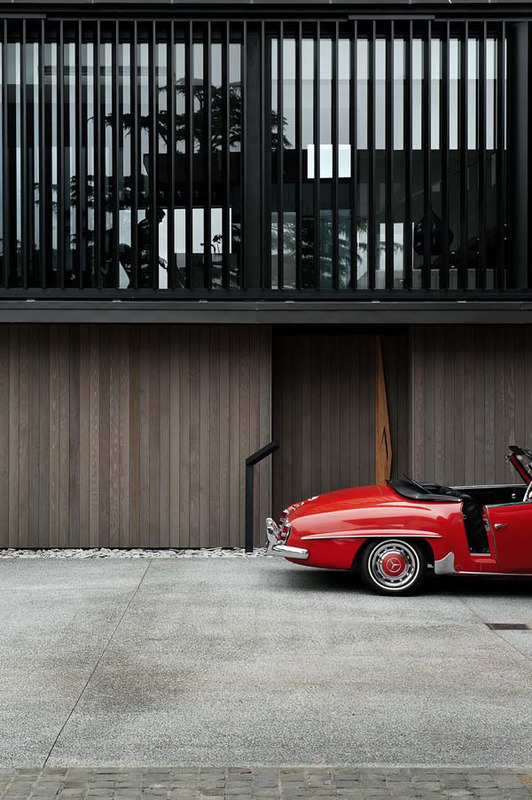 The brief clearly stated the clients’ need for a place to garage their classic car collection, so the architects imagined a “pergatoria” (term coined by Italian architect Giuseppe Terragni for an entry courtyard), wrapping the garage around this central courtyard. Dressed in cedar wood and elegantly hiding the garage doors in the wood joinery, this design celebrates the visual appeal of each automobile, allowing the cars to take central stage. 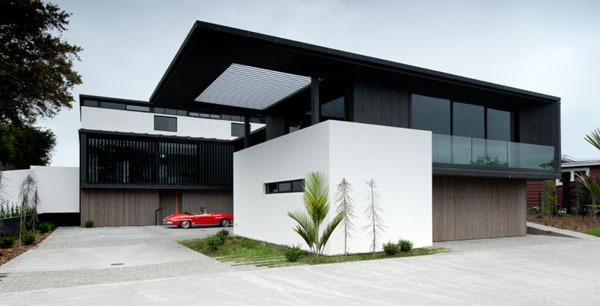 This dream home was designed by architect Daniel Marshall, who imagined a perfect combination between a home for its clients and a home for their cars. Pursuitist has more on this. 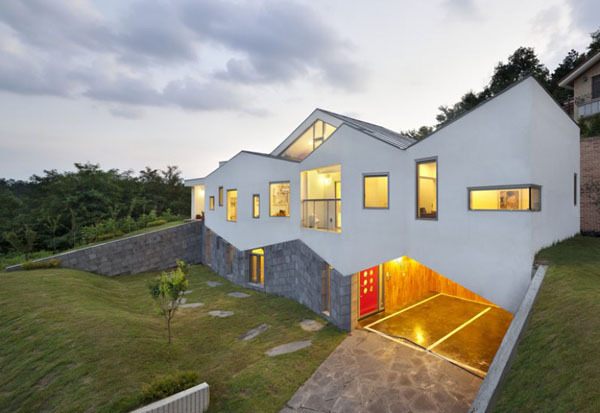 This asymmetric design shapes the Panorama House on the outside, but wait until you see the interiors. 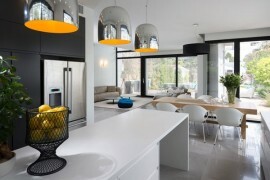 This residence is a dream home for the family living here – a couple and their four children. 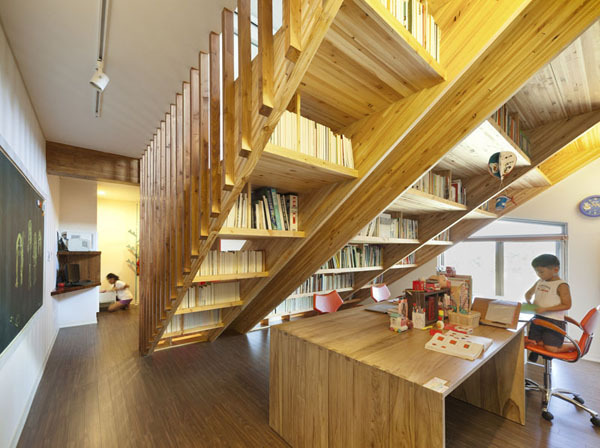 Inviting to play and study, this home was designed by Moon Hoon Architecture in Korea and it explores the possibility of merging games and reading. 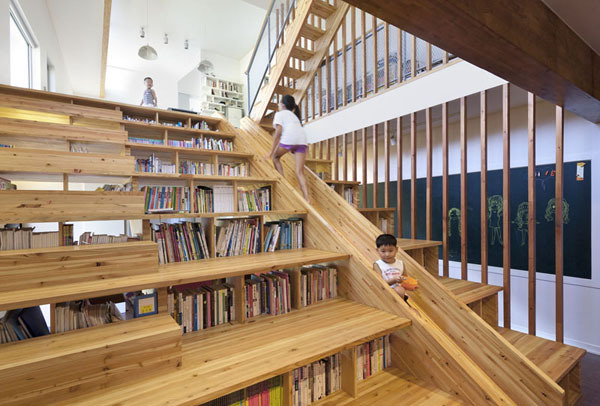 An oversized stairway acts as a collection of reading nooks, a slide, a media platform, but also as a viewing platform for the surroundings through different-sized windows. 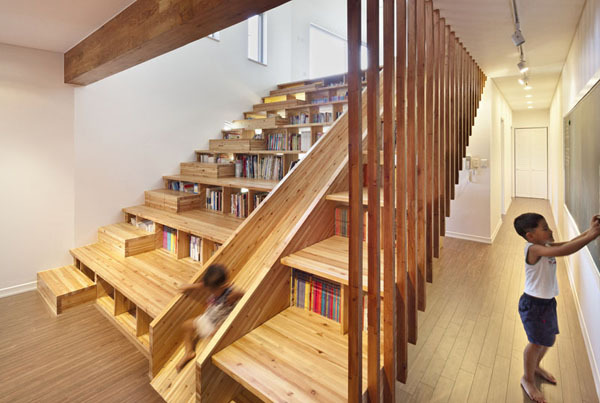 The versatile set of stairs accentuates the need for a creative social space where the family and their friends can interact naturally and openly. 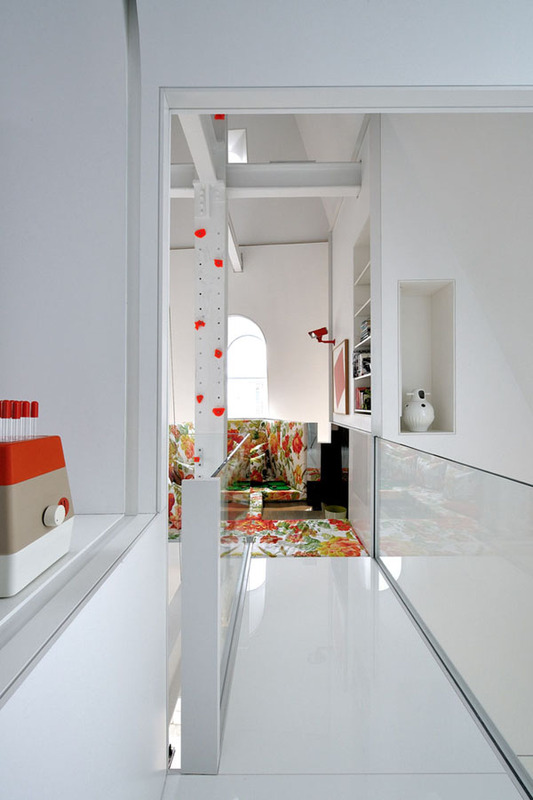 This last hobby house reminds us of our childhood. 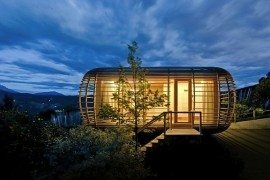 Back in the days, the ones lucky enough to spend time in a playhouse or a tree house were unknowingly preparing for the adult reality. 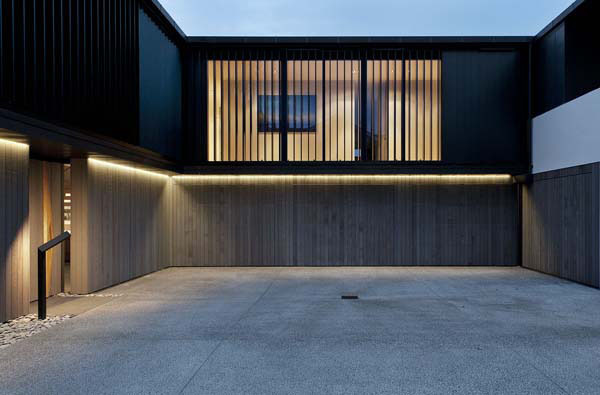 Designed by Ultra Architects, the construction of this 6 square meter wooden house was ignited by elevation boards and a mound left over from the construction of the main house. 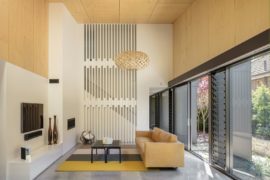 This modern playhouse was designed for the client’s daughter – Maja – and re-interprets the little girl’s drawings of houses with gabled roofs and chimneys in a way fitted in the overall garden design. Our childhood hobby of “playing house” has suffered transformations during the years. We became more specialized at what we like to do, almost forgetting how fun it was to be able to put any game on hold. Now we put life on hold in order to enjoy our hobbies. How the tables turn!